This post is sponsored by Wines of Garnacha but the content and opinions expressed here are my own. The following content is for readers 21+. This rustic Pear, Blue Cheese, and Caramelized Onion Galette recipe is nutty, sweet and savory. In honor of the International Garnacha Day, I created this beautiful, delicious Pear, Blue Cheese, and Caramelized Onion Galette. This rustic, nutty, sweet and savory galette is the perfect compliment to your Wines of Garnacha celebration! International Garnacha Day is celebrated on September 16th. 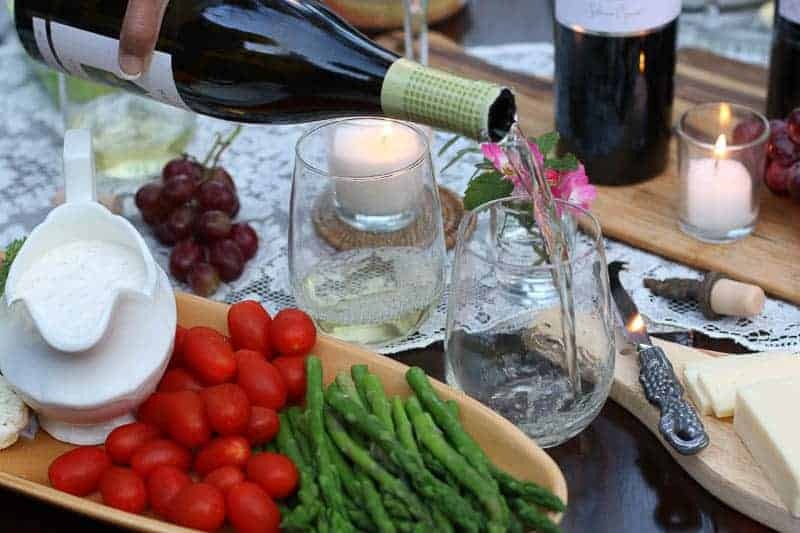 It is the perfect opportunity to gather your friends, make some delicious food, and celebrate with the seductive Wines of Garnacha. Have you heard of Garnacha Wines? I haven’t before creating this post. I was given these wines to sample and try them out. I invited some girlfriends over to share in my experience. I honestly was pleasantly surprised and very impressed with the sultry, well developed flavors of the wine. My friends were equally impressed. 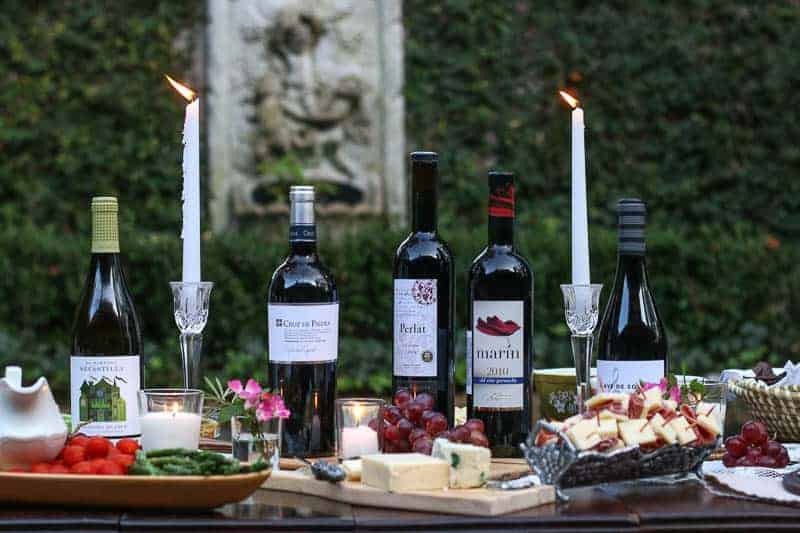 We fully enjoyed tasting each bottle in progression from the whites to the reds pairing each glass with little tapas and sharing stories, laughter, and camaraderie. We are now all HUGE Garnacha fans. Garnacha has been creating wine for centuries in the eastern region of Spain, however, over the last 20 years, a new generation of winemakers have taken a different approach to producing new varietal wines by controlling yields and taking advantage of the old vines. They have started applying modern techniques in combination with old traditions resulting in the production of wines with exceptional character and concentration. 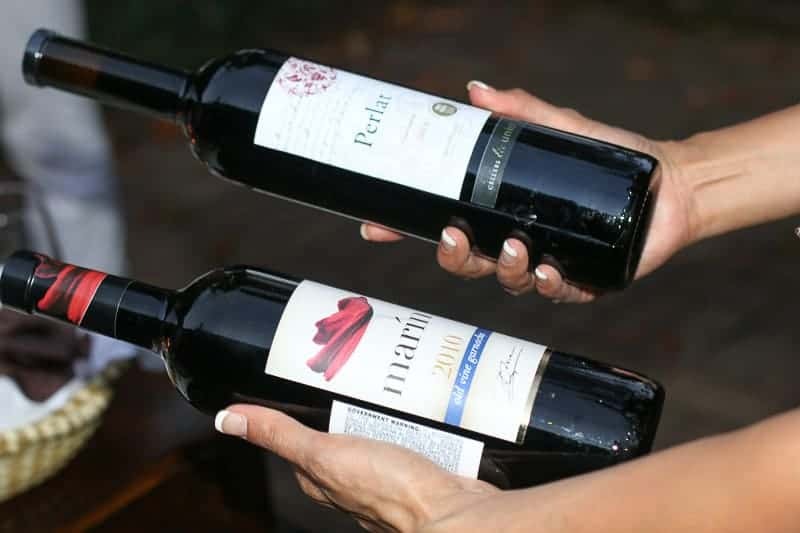 The result has been the production of very expressive wines from sweet, fresh, and fruity to intensely mineral in some cases with a wide range of aromas depending on their origin.They are an excellent value for any budget ranging from $10-$20. Although inexpensive, Garnacha wines are just as much for the collector as it is for the casual drinker. Garnacha Wines offer a diverse portfolio. It is the only variety in the world able to produce red, white and rosé. Americans appreciate the expressive range of aromas and flavors the wines have to offer. Their versatility makes them ideal for pairing to any cuisine. In honor of the International Garnacha Day, I hosted a tapas party. I created this delicious galette recipe made with Pear, Blue Cheese, and Caramelized Onion that paired with the lovely Wines of Garnacha. This galette recipe is savory from the blue cheese, nutty from the toasted walnuts, buttery from the caramelized onions, and sweet from the pears. It is the perfect combination for a beautiful galette that will amaze anyone who takes a bite. This Pear, Blue Cheese, and Caramelized Onion Galette is easy to make and is impressive to your guests. It is the perfect tapas addition to your #GarnachaDay Celebration. 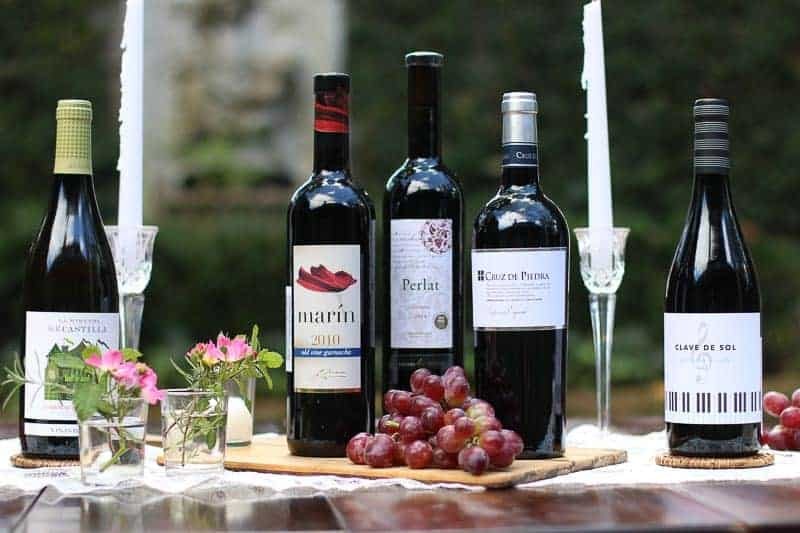 Visit Wines of Garnacha to find out where you can purchase these fabulous wines and host your own International Garnacha Day Party! Cook onion in butter in large skillet over medium-low heat for about 30 minutes until onion is caramelized. Stir in salt and pepper. Set aside. Unfold pie crust into a circle and transfer to a parchment paper lined baking sheet. Toss sliced pears in flour mixture to coat. Spread 3/4 of onion on pie shell leaving a 4in border around edges. Arrange pear slices over onion. Top with remaining onion. Then top with pecans and cheese. Fold over 4in borders of dough, pressing gently to seal. Cool on baking sheet. Serve warm or room temperature. Oh Katie, I`m LOVING the flavors of your galette & it has to pair so well with a number of wines! I`m not famailiar with Garnacha wines but am going to see if I can find any down here. Are there any that you would recommend over others? I primarily drink reds. This galette looks incredible! I love all of these flavors together. So perfect, especially paired with a great glass of wine! I have bushels of pears just waiting to be used….I think I’d better make this galette! I looks wonderful! Although I am not a big wine drinker, I appreciate learning about the region and their wines. Thank you for the information. BUT, I am all over that galette! I love the flavor combination and imagine it paired beautifully with the lovely wines. I hope you and your guests enjoyed the party. Beautiful post. Thank you. So awesome for you first sponsored post, Katie! Congratulations!!! 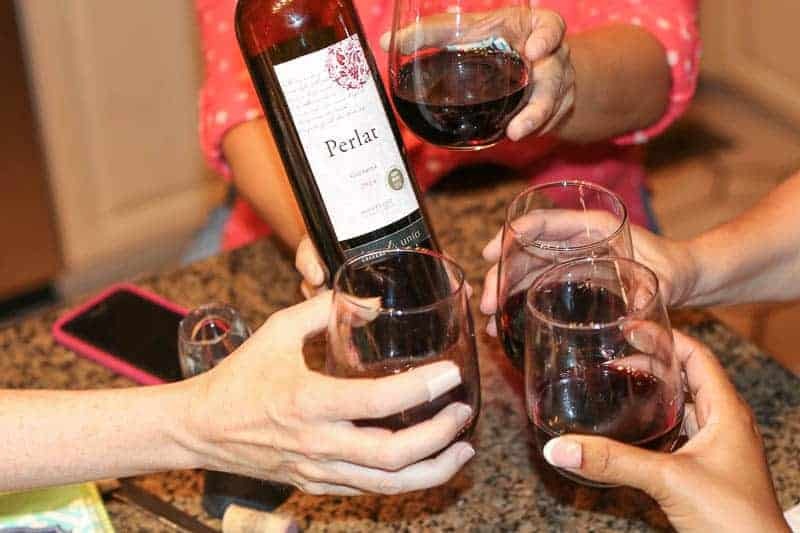 I’ve never heard of Garnacha Day, but any day that celebrates wine is a good day in my books, lol 😀 Sounds like it’s quite the variety of wines too! Hubby and I have our favourites, but it is always nice to try a new one every now and then for sure!